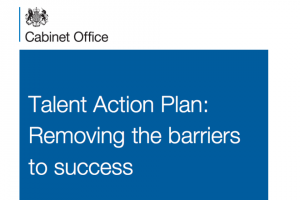 One of my first acts on becoming Head of the Civil Service back in September was to launch with the Minister for Cabinet Office the Civil Service Talent Action Plan: Removing the Barriers to Success. As I said then – and it bears repeating – this is one of the most important documents the Civil Service has published in recent years. Senior Civil Service (SCS) leaders are absolutely committed to realising the vision of a service that is truly representative of society at large, that recognises and rewards talented individuals, whoever they are, and gives everyone an equal chance to succeed. This isn’t just the right thing to do; it is vital for the effectiveness of the Civil Service - and the quality of the public services it delivers - that we make full use of the natural talent at our disposal. There is a chance now for you to get directly involved in shaping the policies and actions that will help make the Civil Service a place where merit is the only criterion for advancement, irrespective of any other factor – whether gender, ethnicity, sexuality or disability. The Civil Service already compares favourably to many organisations in the public and private sectors in terms of the breadth and diversity of its staffing, something I am very proud of. Over 50% of civil servants are women, and ONS figures show that the number of civil servants declaring a disability rose to 8.8% in 2014, while the proportion of minority ethnic civil servants has risen from 5.7% in 1998 to 10.1% this year. But at the higher levels in particular, we can and should do better – for example, BME representation in the SCS is currently just 3.8%. In terms of LGB&T representation, numbers are less reliable, but we have to create a culture in which everybody feels free to express and be themselves without the fear that this may prejudice their career development. The recent Civil Service Diversity Awards illustrated the level of commitment within departments and from individual civil servants to improving diversity, with nominations up by 76% from 2013 to 155, from across the service and every part of the country. 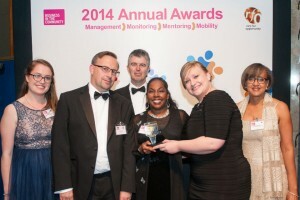 Externally, in the 2014 Employers Network for Equality & Inclusion Awards, the Civil Service was named overall Public Sector Employer of the Year, as well as jointly winning the Employee Engagement Award; while in the Recruitment Industry Disability Initiative awards it won the Disability Confident award; and topped the Future Talent category in the Race for Opportunity Awards. The Talent Action Plan sets out positive, concrete, best practice on leadership and culture and talent and capability to enable us to reach out much more effectively to underrepresented groups and ensure they can reach their full potential. But we also need to understand the very real obstacles that our colleagues in these groups face. Let there be no mistake, we will not shy away from uncomfortable truths. We have already started to address the fundamental issues highlighted by a hard-hitting independent report from the Hay Group on Women in Whitehall. This report informed the Talent Action Plan, resulting in concrete steps, including a commitment to introducing Shared Parental Leave at the occupational rate across the Civil Service; action to improve the experience of women on and returning from maternity leave; and making all-male shortlists and selection panels the exception. Departments across Whitehall, and indeed across the country, are now busily putting all this into practice. And we are making progress. For example to support our drive for more agile working across the Civil Service, a new guide on flexible working arrangements will be published to departments very shortly. One way of working flexibly is job sharing and we have recently published guidance which emphasises the principle that almost every job is suitable for job share. This is something I am strongly committed to as it is a way of retaining talented staff who for whatever reason want to work part time for a period. On the 26 November, the second Civil Service job share event will be held at the Treasury and over 200 people have signed up to attend. So we have already made a good start in taking forward our plan, particularly as it effects gender issues. The next step is to look in detail at the barriers preventing talented civil servants from other groups from progressing in their careers – and this is where you can help. The Civil Service is launching an online survey to further understand the factors in play. Everyone’s views are welcome, but we are particularly interested in the experiences of BME employees, LGB&T employees and employees with disabilities. The survey is anonymous and confidential and the findings will supplement detailed research for separate and independent reports on each of these groups. The reports’ recommendations will, in turn, inform a refreshed Talent Action Plan to be published early next year. Your views are important, so please take this opportunity to make a difference. Finally, having just done it myself, I would strongly recommend the online unconscious bias training course on the CS Learning website. All of us with line management responsibility should do the course. It doesn’t take long and all the evidence shows that addressing unconscious bias can help improve our performance as managers. 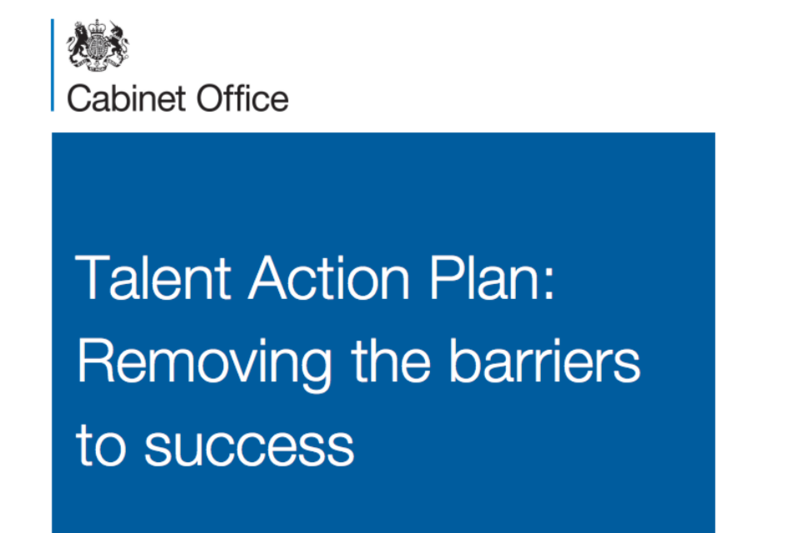 If you'd like to comment on these next steps please log into the Talent Action Plan yammer group (you must use a GSI or .GOV email address) or email civilservice@digital.cabinet-office.gov.uk.